The possums can create a nuisance if they intrude into your property. These animals are protected species under Wildlife Act of 1975. If you are troubled for the trespassing, you can’t just appoint a professional pest controller and kill or remove the animals. Don’t even think to harm the Possums if you don’t want to face legal actions! There are certain risk factors if possums start dwelling in your property. You must have an idea about this species of animals! Learning about the types of Possums found in Australia, you can stay prevented from any legal actions. If you think to allow the animals to dwell in your roof or any other place, you must learn about the health concerns associated with residing with the possums. It is essential to know about the best way for possum control without any offending the Wildlife Acts. The possums are nocturnal, and it may be difficult for you to locate them until the number of possum members increases. Collecting the best info would be helpful in possum control & all pest control for your property in a safe way! Since they are proficient swimmers and climbers, hence they are often found in hollow logs in a tree. With the help of sharp claws and sharp teeth, they find it very easy to reside in trees. They often climb down in search of food and water, and this may lead them to follow their way into the house or garden. They have been spotted in roof voids of home. They are nocturnal introverted animals that are itinerant by nature and are always on a lookout for trees and burrows to reside. Look for possum dropping-Look for possum droppings in sheltered areas. They look like dog feces. Possum’s sounds- Possums are nocturnal and may produce a screeching sound to communicate or seek attention. Squeaking sound is common with juveniles to communicate with their mother. Shook shook sound can be heard when male possums are trying to attract the female Possum. Foul odour-As mentioned above, possum are territorial animals and like to mark their territory with the help of a gland, which is present under their chin. These gland secrets an odour. Possum tracks- Look for tracks, which can form with their claws or tail. This is yet another way to provide direction to other members of the family. Possum fur-Possum can be quite fierce and often land up in fights, in these fights they may lose their fur. If you spot fur of possums in the garden then it’s a sure shot sign or their presence. Eye shine-The easiest way to spot them is at night. Since they are nocturnal in nature, they can be easily spotted by shining torch at the trees, you would be able to see their red eyes shining. Bite marks-Possums are sharp teeth, which they need regularly sharpen by biting on tree trunks or plant matter. If you figure out bite marks on outdoor furniture or your vegetation, then there might be a possum. Rotting food smell-Possums tend to collect food such as fruits and vegetable in a sheltered place, which they tend to eat for many days. If there is a foul smell of food, its best to conduct a search, you might be able to reach their nest. Building a floppy fence around your garden with the help of chicken wire is a good idea; you can leave the ends open so that the Possums fear climbing them due to its sharpness. If you do not mind a possum visiting your garden frequently but are only concerned about the vegetation then you can use a collar to protect your trees. Repellents are being used since a very long time and nowadays new and more effective repellent are coming to use. Since law 1975 protects Possums, therefore it is a good idea to treat them gently by providing them with an alternative den by building in Possum nest boxes. Possum control in Melbourne has to follow very specific rules and regulation. These boxes are very easily available in the market or are quite easy to make with the help of sawn timber. It is ideal to place the box around 3 meters above the ground level and check it frequently for other animals such as birds, squirrels, etc. How do I get rid of possum in my roof? Since possums are excellent climbers, thus it is best to remove branches, which reach till the roof. Making use of odour therapy is a great idea. There are many kinds of repellents, which are used such as the mothballs and camphor. You can also try some natural herbs and ingredients such as garlic and onion that has some strong aroma. Possums are nocturnal in nature and like to nest and rest during daytime. So by putting the bright lights on, can prove to be quite disturbing for them and force them to find some other place for residing. Once you are sure that there is a Possum in the roof, then you can make use of a trap with a bait something with a strong smell such as peanut butter. If you are sure that, there are no possums then it a good idea to block the entry and exit point so that there is no way for a possum to enter. How do I get rid of possum in my attic? Attic can be a very relaxing place for possums to reside, as it is inherently warm during winters due to all the insulations and quite cool during summers. However, it can be very distressing for the homeowners as possums can destroy the fittings and can eat away the insulations. The best way to remove a possum from the attic is a trap. Possums are protected by law according to the act of 1975 however it is allowed to trap a possum residing in a property by the owner, or the manager of the building or a DELWP licensed Wildlife Controllers. Another thing, which needs to be kept in mind, is where to release the trapped possum as relocation is regarded as inhuman and is not legally permitted. Therefore, it is advisable to get in touch with a registered vet. If the trap method does not work then it is prudent to get in touch with professional possum control Melbourne companies who are well versed in catching a possum, they are experts in catching possums with hand or by a snare pole. There are 23 species of possums in Australia, Out of these 23 species; the most common two species are common brushtail possum and common ringtail possums. Just like other species of Possums, the common brushtail possum is also nocturnal. It mainly feeds on fruits and flowers, but in a few cases, have been seen eating rats, etc. In Melbourne, they get an abundance of eucalyptus leaves which they are very fond of eating. The common brushtail Possum comes in colours of silver-grey, brown, black, and gold. Normally the brushtail possum loves to live in tree hollow and burrow, but when indoors, prefer to hide in roofs and dingy spaces. As the name suggests, they have a bushy tail, along with that they have a cute looking pointed face and a pink nose. The common ringtail possum most distinguishing feature is its size, which can range to as big as a cat. They are nocturnal as well but prefer to stay in the dense forest and feed on eucalyptus leaves. They are generally grey in color and have white fur on the belly with some orange streaks. Big, pointed ears & face with a typically light or pinkish nose. Possum comes in colours of silver-grey, brown, black, and gold. Typical body measures 500mm, weight ranges from 3.5-4kg. Males Possums are heavier as compared to the female possums and are covered in heavy red colour fur from shoulders to belly. Colour variable; silver-grey, smoky-grey, dark grey-brown but more typically light grey or rich red on back and sides. Cream to grey underneath, with red or tan on the arms. Regular body measures 300-350mm, weight ranges from 700-1.2kg. First and foremost try to identify from where the possum is entering. Once found out, block its entry point to restrict them to enter again. If you are able to trap the possum then relocate it to hollow logs in the tree and hanging wooden boxes. Trim the overhanging tree branches if they are at a height of the roof. Block entry points to your house from which possums can enter. If you wish to conduct any repair, work then its best to conduct such work during dawn or toward the day end, possums are nocturnal and wish to come out from their nest in search of food. Keep the place lighted after dark, as possums do not like bright light especially during dark due to their nocturnal nature. It’s a known fact that Possum population is protected in Australia and are thriving in the East of Australia and SW Western Australia, and Common Brushtail Possums are prospering all over mainland Australia, Tasmania, and Kangaroo Island, however, in Tasmania, the legislative have given permission to control possums as they destroy the crop. However, other than Tasmania there are strict laws to protect possums. According to the Wildlife Act, 1975 Possums are protected animals that means it is illegal to harm Possums in any way. They cannot be tamed or kept as a pet without the approval from DELWP. It is also illegal to harass or relocate to the environment, which is not suitable for their survival. However, there are ways by which they can be controlled. Common brushtail possum can be trapped if they are living in your premises and can be taken to a registered vet or be released in an environment where it can thrive. In case of common ringtail possum, it is illegal to even trap it without a permit. The fact that they do not generally live in residential premises, therefore trapping is out of the question. A trap, which is designed in a manner, which is safe and does not cause any injury to possum, can only we used. A wire mesh box, which is less than 19mm sq, can only be used. Larger size tarps can injure the possum and are illegal to use. Traps should be kept in a way that they do not end up attracting other animals such as cat, dog, etc. Traps used for possums can be taken for hire from registered vets and controller with a suitable license. Several professional Possum pest control Melbourne services also help in trapping possum and lend traps. Things to keep in mind while using a trap. All traps must be check frequently and strictly within 2 hours of sunrise. Trapped possums should not be harassed and should be kept in a quiet place, where they are protected from harsh weather and another animal until they are released. They should be released only after sunset on the day they are trapped. Since they are nocturnal in nature, therefore prefer night time rather than morning as it is riskier and can get injured. If it is not possible to release a possum keeping in mind the conditions provided by law then they should be taken to a veterinary or the body who is registered to take care of their release at the expense of the trapper. This should be done within 24 house of trapping the possum. If anything is breached then it can come with impending legal obligation with a fine of $5000 and other legal implication. If you are not confident about dealing with possums then it is greatly advised to get in touch with a possum pest control agency who is well versed in all the legal implications and are experts in possum treatment. If you are able to trap the possum then relocate it to hollow logs in the tree and hanging wooden boxes. By this, you are not relocating them to a new place but providing them with a nest in their own comfort area. Make use of natural ingredients, which will act as a deterrent. Keep the environment bright especially during nighttime, as possums are nocturnal and do not like brightness during the night. Eliminate any kind of food and water from where they are nesting, this will automatically force them to go somewhere they can find readily available food and water. Pet an animal such as a dog or a cat. Possums are often sacred of animals who are bigger than them in size. Pest control agencies who are well versed in tackling possum related problems are well versed with various techniques, which not only consist of DIY methods, which have been discussed above, but also physiological ways to tackle possums. Since they are experts, therefore make a combination of methods to catch a possum and release it in the best possible manner, which is legal. Snare poles-Snaresare wire traps used to catch a possum or other rodents, animals In Australia only free running snares are legal to be used other kinds of snares such as the self-locking snares are illegal. Professionals only make use of the free running snares to catch a possum. One-way doors-One way door traps are very successful, as they do not let the possum return once it is trapped. Physically catching the possum-This can sound to be daunting, but pest control agencies are well versed in handing possums very gently and are well aware of all the methods. It is not advisable to do this yourself, as it can be stressful for both the animal as the person performing the action. Water Repellent-Water repellent is a water jet.t is triggered when it senses the animal approaching. All it does is sprinkles a shot of water, which scares the animal. It is a safe and human way of scaring the possum. Contact repellent- contact repellent such as Fox urine, wolf urine is applied to the trunk of the trees or the stem of the ornamental plants in the garden, which acts as a repellent for possum. Traps-Live baits or high odour food such as peanut butter, cheese, etc. are used for traps. Traps can be of many types; however, there is a very strict rule and regulation laid down according to the act of 1975 for the traps, which can only be used for trapping possums in Australia. 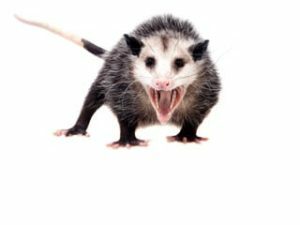 Why hire possum pest control services ?